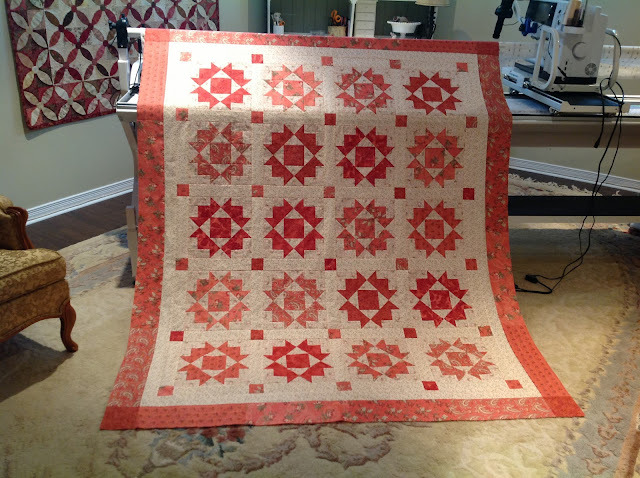 Jubilee quilt top is finished and ready to be loaded on to my frame for quilting. 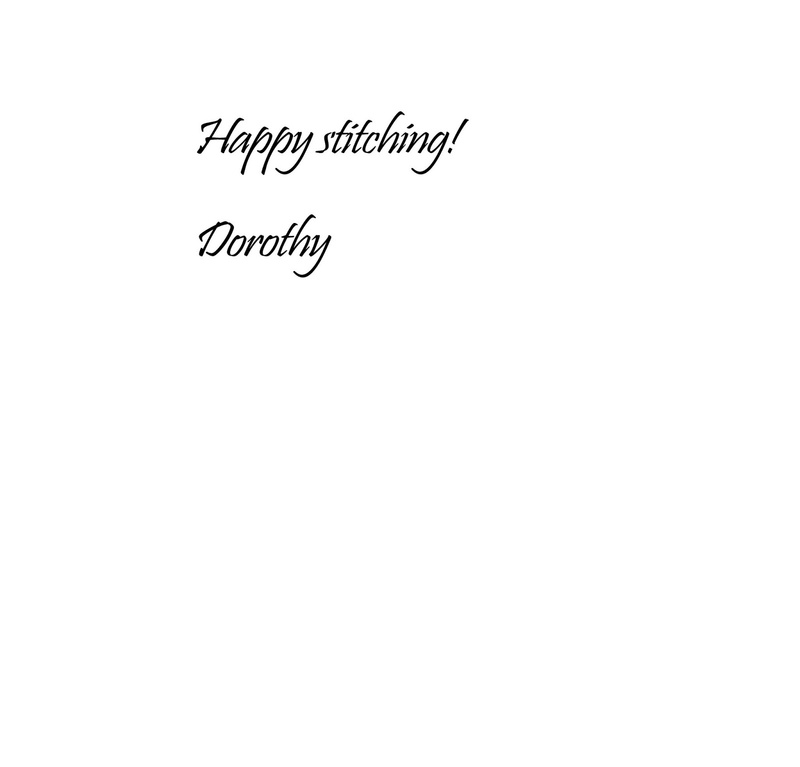 I am going to do a simple panto and, once the binding is on, give it a good run through the washing machine. For the first time I used spray starch when cutting and piecing this quilt and it kinda feels like a thin sheet of cardboard.....maybe I'll use less starch next time.....or better yet - none at all. With three extra blocks and some scraps of fabric that were left over I've pieced a center panel for the backing of this quilt. 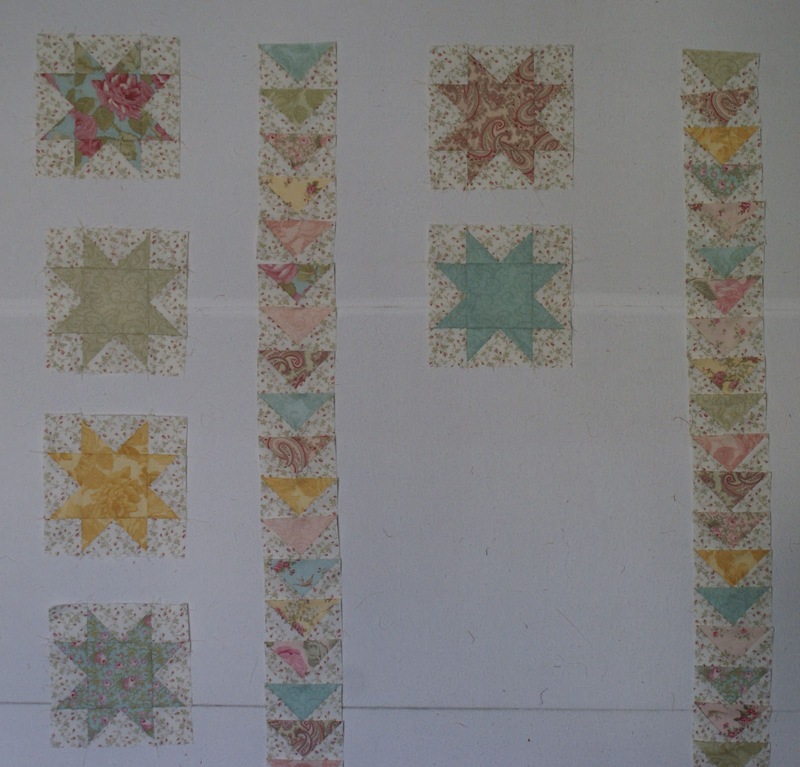 I've got two baby quilts ready for binding and a third one is a work in progress on my design wall. Lovely projects one and all. It must be good to have a long arm and not have to send quilts out.